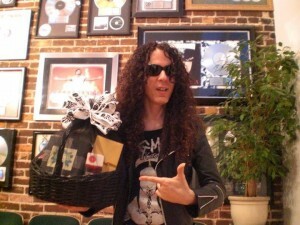 Marty Friedman of Megadeath and his Hollywood Basket! 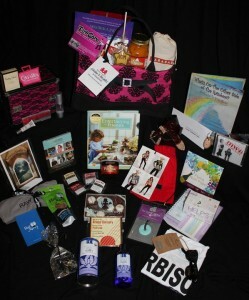 ACM Country Music Awards gift bag! Thank you to all of you who took part!! — with Francine Steadman, Dawn Rhodes Wellspring, Megan Faulkner Brown, Mysti Jade, Hillary Green Souza,Joann Murray Godwin, Veronica’s Treats, Lissa Golden, Julia Lambie and Carla Masterson.